A complete guide to the Working Holiday Visa in New Zealand. Do you want to try working abroad, gain amazing life experience, and see more than the typical “tourist” sees? Then experiencing New Zealand on a working holiday visa is the way to go! 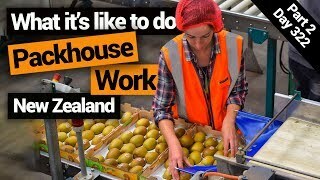 The New Zealand Working Holiday Visa allows young people aged between 18-35 years old to work and travel in New Zealand for up to 6, 12 or even 23 months depending on which country you come from. Taking the leap to travel across the world and experience what life is like in another country is a huge life-changing experience, so to help you kickstart your adventure, we’ve put together this guide on everything you need to know about the New Zealand Working Holiday Visa! 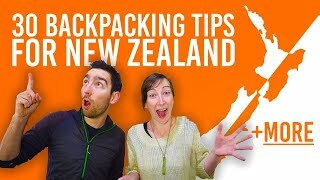 This guide is a pretty chunky article giving you all the ins and outs of the working holiday visa in New Zealand. However, if you prefer bite-sized chunks, check out What is a Working Holiday Visa?, as well as our step-by-step guides on applying the visa in Part 1, Part 2, and Part 3. The New Zealand Working Holiday Visa is not open to everybody. There are a set of requirements that you need to make you eligible to apply for the working holiday visa. These requirements are different for every nationality, so make sure you check your county’s criteria on the Immigration New Zealand website to get all the up-to-date requirements you will need to meet. However, these are the requirements most nationalities will have to meet. Currently, there are 45 different countries which are participating in the New Zealand Working Holiday Scheme. New countries get added to the list regularly. For now, these are the countries that can participate in a New Zealand working holiday scheme. Argentina, Austria, Belgium, Brazil, Canada, Chile, Chine, Croatia, Czech, Denmark, Estonia, Finland, France, Germany, Hungary, Hong Kong, Ireland, Israel, Italy, Japan, Korea, Latvia, Lituania, Luxembourgh, Malaysia, Malta, Mexico, Netherlands, Norway, Peru, Philippines, Poland, Portugal, Singapore, Slovakia, Slovenia, Spain, Sweden, Taiwan, Thailand, Turkey, United Kingdom, USA, Uruguay and Vietnam. Your passport needs to be valid for at least three months after the date that you intend to leave New Zealand. Most of the working holiday schemes are for 18-30 years old but there are some countries with an upper age limit of 35 years old, including Argentina, Canada, Chile, Czech, Finland, Hungary, Slovakia and Uruguay. Your main intention in New Zealand needs to be that you are travelling, rather than coming to New Zealand just to work. Working and studying should be a secondary intention. This rule is enforced by by working holidaymakers being prohibited from accepting a permanent job and some working holiday schemes having a maximum amount of months that you are allowed to work in New Zealand. For most countries, NZ$4,200 is the minimum amount of available funds you need to have in order to support yourself while in New Zealand. Although this is just a requirement for the working holiday visa, we recommend having a bit more available funds for the start of your trip. 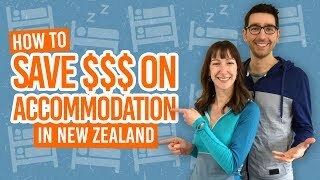 Take a look at How Much Money Do You Need for a Working Holiday in New Zealand? for more details. 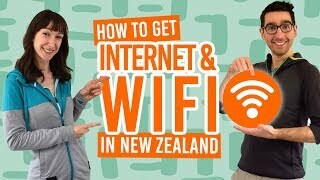 On top of that, you will need either an outward travel ticket from New Zealand or sufficient funds to purchase one. If you choose to have a return flight, simply compare prices of flights, get yourself a good deal and print both tickets. If you choose to have the monetary equivalent, well… there is no set amount of money for this, as it depends on where you claim to be travelling to next or what country you are from, but NZ$1,000 is a safe amount. These will be assessed via the answers you give in your working holiday visa application. They are simple questions about your medical history and criminal record. You cannot bring your children along with you on a working holiday visa. If you are travelling with a partner, they will need to apply for their own visa. For the duration of your stay in New Zealand you will need comprehensive travel and medical insurance. Check out Medical and Travel Insurance for New Zealand for a full guide. You can only do a working holiday in New Zealand once. Once you have checked you are eligible for the New Zealand working holiday visa, you need to see when your country’s working holiday scheme opens. Some countries have an unlimited amount of working holiday visas, meaning you can apply at any time of the year. However, some other countries have a quota, meaning they only have a set amount of working holiday visas available per year. Quotas open at different times of the year for different countries. The quota fills up quickly so you’ll need to apply as soon as the quota opens in order to get the best chance of your application being processed. How to check for quota opening dates? The Immigration New Zealand website will release the dates that you can apply for your working holiday visa one or two months prior to the quota opening. However, the Working Holiday New Zealand website is a good resource for checking quota opening dates and the previous year opening dates with their Quota Reports. When is your working holiday visa valid? You can travel to New Zealand on your working holiday visa within a year after you have received the acceptance email from Immigration New Zealand saying your visa is approved. The 6, 12 or 23 months that your working holiday visa is valid for doesn’t take effect until the date you arrive in New Zealand. The working holiday visa for New Zealand can only be applied for online at the Immigration New Zealand website. Before you lodge an application for a New Zealand working holiday visa or before your quota opens, there are a few things you can do to make the application run as quickly and smoothly as possible. Register on the Immigration New Zealand website (check out our walkthrough here). As soon as the quota opens, or if you’re from a country without a quota it’s as soon as you are ready, log into the Immigration New Zealand website and start applying. For a complete step-by-step guide with screenshots of the working holiday visa application so you know what to expect, check out New Zealand Working Holiday Visa Application: The Complete Walkthrough. At the end of the application you will need to pay a fee, which is usually around NZ$208 or free if you are from the US. After you have applied for your working holiday visa online, you should receive an email from Immigration New Zealand within 14 days of completing the application – often much much less! Although you can log into your Immigration New Zealand account at anytime once you have made your online application, there is not much reason to without first receiving an email from Immigration New Zealand advising that a decision has been made on your visa application. However, if you can’t wait, check out How to Check if Your Working Holiday Visa Has Been Approved for instructions on how to check out the status of your application through the Immigration New Zealand website. Your New Zealand Working Holiday Visa is an eVisa meaning that there is no paperwork or sticker in your passport required to show your working holiday visa at the New Zealand border. New Zealand Passport Control will see your eVisa electronically when they scan it. However, you can still view, download and print your eVisa on the Immigration New Zealand website. Once you have been approved for the working holiday visa, login to the Working Holiday Schemes Online homepage on the Immigration New Zealand website and simply click on “View eVisa” to get the PDF version of your working holiday visa. It lists the dates the visa is valid for, as well as your client number. For more information, read our What Does a Working Holiday Visa Look Like? Arriving in New Zealand on a working holiday visa is not much different to arriving as a visitor. You will still go through the Passport Control, Customs and Biosecurity processes that everyone goes through when arriving in the country. We outline all of these processes in our Everything You Need to Know About Arriving in a New Zealand Airport. Evidence of travel insurance, such as a printed copy of your policy certificate. It’s unlikely that you will be asked to provide this paperwork, however, you’ll be happy that you did for those times that they perform random checks. If you find that you are enjoying New Zealand so much that you want to stay longer, it is possible to extend your working holiday visa either for a further 3 or 11 months. These applications are paper applications that will need to be dropped off or posted to an Immigration New Zealand office. Other working holidaymakers can apply to extend their working holiday visa by three months, under one major condition: that you have evidence you have worked in the horticulture and viticulture industry for a total of 3 months – not necessarily full-time work, but at least part-time on a “regular basis”. The positions must be planting, picking, maintaining, harvesting and packing crops. (Note that evidence could be payslips or a letter from your employer). Check which jobs are valid in our 11 Jobs That Qualify to Extend Your Working Holiday Visa in New Zealand. 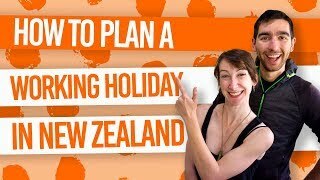 We have “heaps” more information on how to plan your working holiday in New Zealand, from finding a job to finding a place to live. Check out these links for more information on the working holiday experience.